Therapy swings and Sensory swings - Special Needs Play Equipment offers a huge range of sensory swings, therapy swings & swing frames designed for special needs kids and adults. Great range of sensory swings for children with autism who crave vestibular sensory input. 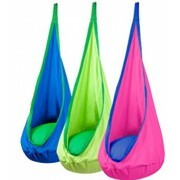 Sensory Swings are very therapeutic for children of all ages and abilities. Our range of therapy swings include platform swings, Pod swings, sensory nest swings, and Occupational Therapy Swings that provide vestibular therapy and sensory integration for children with special needs. 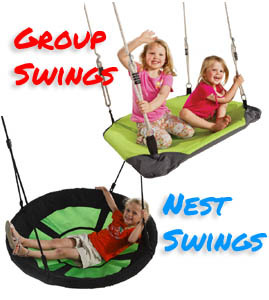 Great range of sensory swings for children with autism who crave vestibular sensory input. Green Duo Seat Glider with Plastic coated chain set Twice the fun of a standard swi..
Jennswing Adaptive Swing Seat - Inclusive swing seat. GREENInclusive Play Equipment - ADA Accessible..
Jennswing Adaptive Swing Seat - Inclusive swing seat.Inclusive Play Equipment - ADA Accessible Swing..
Jennswing Adaptive Swing Seat - Inclusive swing seat. PINKInclusive Play Equipment - ADA Accessible ..
Jennswing Cubby II Adaptive Swing for special needs children. JennSwing Cubby II is a smaller vers..
Jennswing Cubby II Adaptive Swing for special needs children. JennSwing Cubby II is a smaller versio..